In a first of its kind, number 1 rated VPN provider IPVanish is now allowing users the ability to use their service on up to 10 devices at the same time. In a move that’s likely to shake up the VPN industry and spurn others to offer the same, IPVanish has doubled the number of devices you can use with 1 account and more than tripled the offering of some other providers. When VPN service started to break out onto the scene widely some 5 years ago it was common for VPN providers to allow you to use their service on a single device. As more of us looked to secure our privacy on mobile devices this increased to 3-5 devices. As more devices than ever are now internet enabled the requirement to lock down the privacy of all these devices has increased. This is where IPVanish’s new 10 device limit steps in. 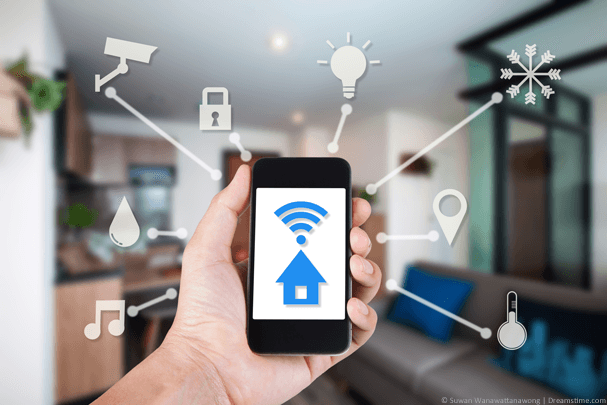 Everything from your fridge to your Smart TV and your home security system to your watch is now internet connected. Not only the different types of devices but there is also now a bigger range of devices in households than ever before. It used to be common for there to be one family household PC. Now with 2 parents having a tablet and phone each, throw in a couple of kids who have their own, plus laptops, TVs and games consoles and you can easily require the new 10 device limit. The good news is, IPVanish hasn’t increased the price of the service and the new 10 device limit is live for all subscribers. In certain circumstances, this essentially means they’ve halved the price of their service because they’re now offering double the usage. If you’re a traditional married couple with ‘2.4 children’ then you would have previously needed at least 2 IPVanish accounts to protect all the internet connected devices. The new limit means you’re likely to only need 1 saving you up to half the price of what you would currently be paying. Unfortunately the speed at which devices have become internet enabled has not kept pace with the security of those devices. Home security camera systems are some of the worst out there with little to no security or encryption in place. It would be relatively easy for someone with a minuscule amount of skill to compromise it. As icing on the cake many of these devices do not support the installation of IPVanish’s range of custom apps, nor do they support any kind of manual VPN set-up either. IPVanish’s new 10 device limit is great for protecting computers, laptops, tablets, phones, some Smart TVs, Android boxes, Amazon Fire TV and Fire Sticks and a whole host of other devices. However, if you want to protect the smaller devices like your kettle and smartwatch you would need a VPN router. One such recommended device is the InvizBox 2 which is new to the market and can help you protect a near unlimited amount of devices across the home either via a wired or wireless connection. Best of all, the InvizBox 2 uses the highly rated IPVanish network to protect and secure you. So it’s a win whichever way you end up making use of IPVanish’s new device limit. You can save 20% off IPVanish and take advantage of their new 10 device limit by clicking the button below. New guidelines require HTTPS connections for all online UK Government services.